At Van Every Family Chiropractic Center, we are passionate about helping everyone in the community live a vibrant, healthy life. With a range of neuro-developmental disorders on the rise such as ADHD, autism and sensory processing disorder, it’s important to take a closer look at the cause of these as well as chronic illnesses that kids experience. These include allergies, asthma, ear infections and more. The Perfect Storm can be either a one-hour presentation or a smaller 20-30 minute presentation. We are pleased to offer to local businesses workshops, lunch & learns, and mini-workshops on the following topics: Stress in the Workplace, Ear Infections, and Ergonomics in the Workplace. Experience the stress-reducing, relaxation-promoting effects of massage at your workplace! Our massage therapist can do mini massages at your office. 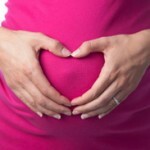 Safe and effective, chiropractic before, during and after pregnancy is incredibly beneficial to both Mom and Baby. Our team will hold talks to show how women can have a healthy and safe birth. The choices made during pregnancy and delivery can result in both short-term and long-term benefits for parents and their baby. During the talks, we also will address an array of common pregnancy struggles that moms-to-be experience. These include Uncomfortable Digestion, Swelling, Overwhelming Fatigue, Low Back/Pelvic Pain, and Lack of Sleep. Because knowledge is power, we want you to be empowered to have the best possible pregnancy and birth.